We don’t go to fancy enough places to use a coat check very often, but we’ve heard they’re a little annoying to use. Engineering student Alyssa Davis has created a concept to make coat checks simple, quick, and painless. 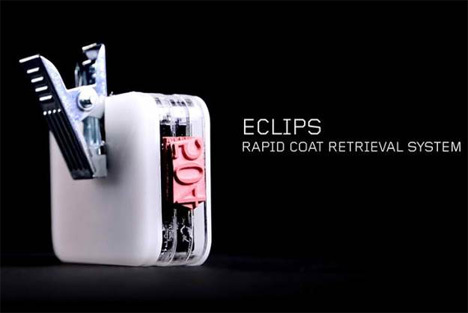 Her idea is called ECLIPS, and it will significantly cut down the coat check process. The main part of the design is a small clip with a numbered rubber stamp on one end. 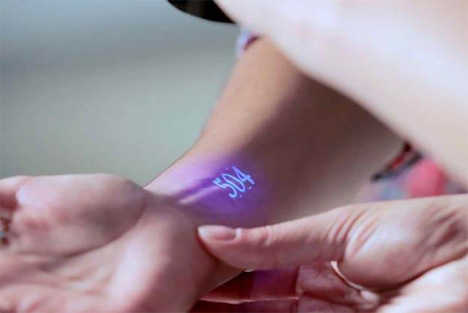 When someone checks a coat, the attendant uses the rubber stamp and invisible ink to stamp the coat’s owner. Then that clip is attached to the coat and hung up. When the owner of the coat comes back, the attendant shines a UV light to read the stamped number. After the attendant types the number into a tablet, the appropriate clip lights up. 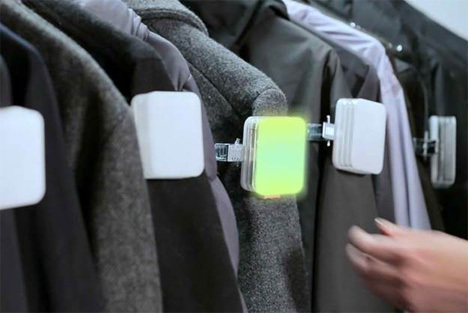 The light makes it easy to quickly locate the owner’s coat. Locations that offer coat checks don’t typically care much about how long the coat check line becomes, so they might not have the motivation to spend money on a system like this. But the student project is brilliant and shows a lot of ingenuity – and could possibly even be put to use in other industries. See more in Unbuilt Concepts or under Technology. January, 2014.